The League Management Company has called off the NPFL matchday-28 game between home side Remo Stars and FC Ifeanyi Ubah, according to Completesportsnigeria.com. It was gathered that the match was called off due to the food poisoning being suffered by 16 first team players of Remo Stars Football Club, who are currently being treated at the General Hospital in Ikenne. The Sagamu-based club is now awaiting the doctor’s report following claims of food poisoning saga. “Eight games now on offer, two games off #RIVMFM and #REMIFE. 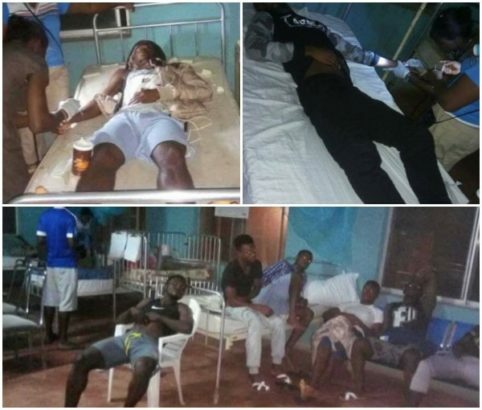 “LMC monitoring the condition of Remo Stars players at the hospital and wish them quick recovery,” the club Tweeted. The Remo Stars players down with food poisoning include the club’s leading scorer, Victor Mbaoma, Ekene Awazie,, Umar Martaba, Oknuoghae Osas, Edozie Ewelike, Onovo David. Others are Ekene Awazie, Abiodun Awoyemi, Ekene Obi, Saidu Muhammed, Paul Isaac the reserve goalkeeper, David Walbe, and Shuji Oshobe and Akeem Taiwo. Also affected is the club’s the goalkeeper trainer Dahiru Ilu.